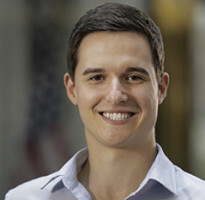 Matthew graduated from Miami University in 2013 and holds a Bachelor of Science degree in Finance. He became a full-time associate at Summit in May 2015, following a successful internship. Before joining Summit, Matthew gained valuable experience working at Fidelity Investments for nearly 2 years. Matthew is a CFA® charterholder and plans to pursue the CFP® certification process. Matthew is an active member of Summit’s Investment Committee and serves as the firm’s Director of Research. He works with an internal team of advisors to provide investment advisory and wealth management services to Summit’s clients. During his time away from work and studying, he enjoys traveling, snowboarding, and time with family and friends.